Things always seem like they come in waves. 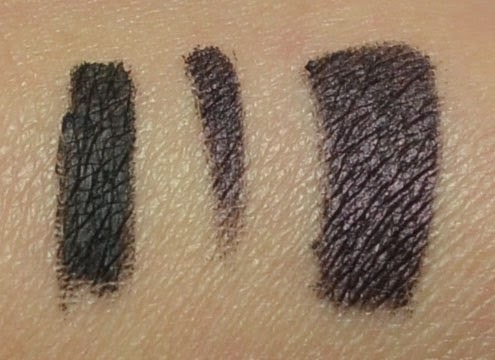 Recently I’ve had a wave of researching eyeliner again, after a year of contentment with my little gel liner collection. 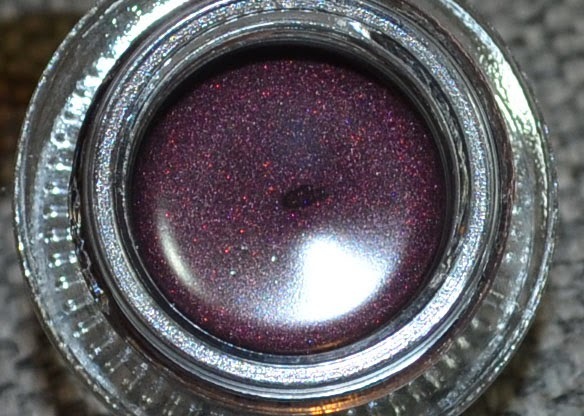 I recently picked up a jar of NARS Eye Paints, which I will review soon. 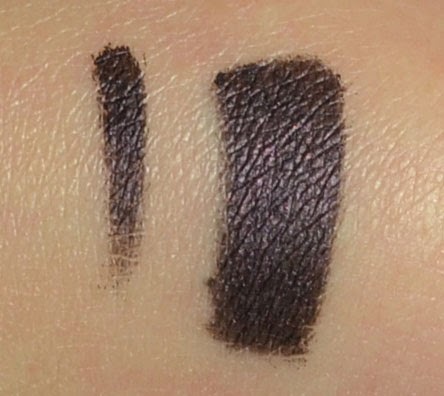 I was also looking into Maybelline Eye Studio Lasting Drama Gel Liners and Laura Mercier Crème Liners. I’ve heard good things about the consistency and lasting power of both, but neither have colors that are really appealing to me. The purples? YSL does it better. 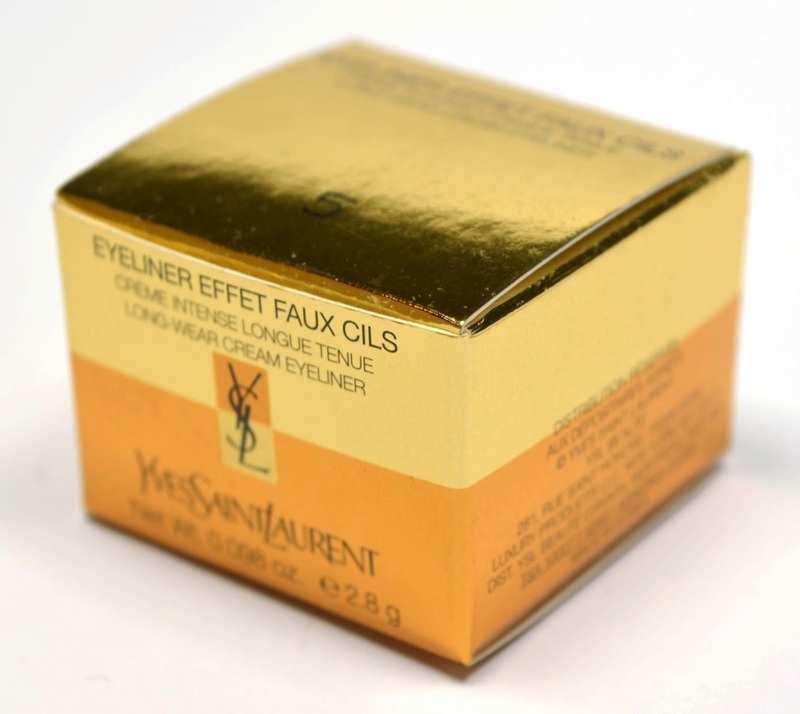 The Yves Saint Laurent Effet Faux Cils Long-Wear Cream Eyeliner is a fittingly long name for a product with such nice packaging. 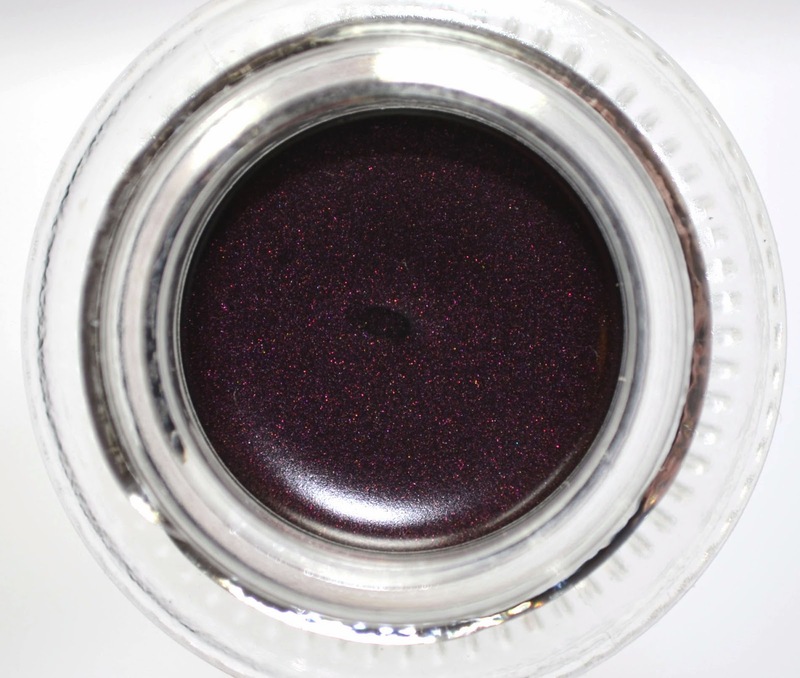 As for the actual contents, it is a black base saturated with flecks of purple. The purple is red-leaning and the color lays down nicely. The texture is more gel than cream and is super easy to work with. The staying power is as good as Bobbi Brown’s, if not better. Bobbi Brown can start to smudge into the bottom outer corners by the end of a long day, but YSL merely fades out. If the day is really long, then the line starts to blur and a little transfers to the top of my lid. But we’re talking upwards of 12 hours at that point. I’ve had this product for about a year and I have noticed that it has dried out just a smidgen. I make it a habit of storing my eyeliners upside down. 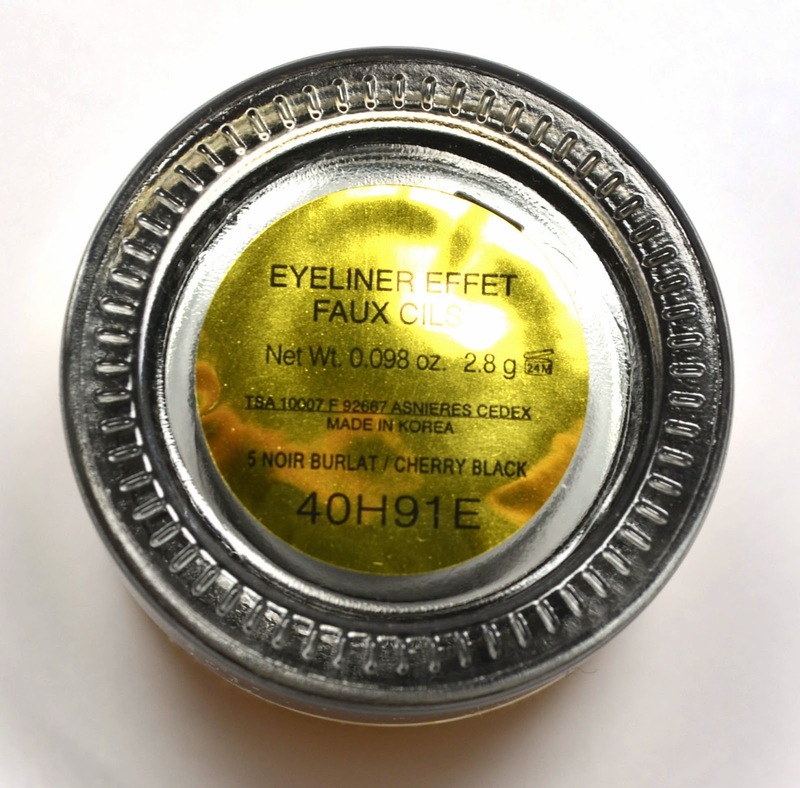 While the liner was softer and creamier when I first opened it, it is still easily usable now. It has infinitesimally more drag. 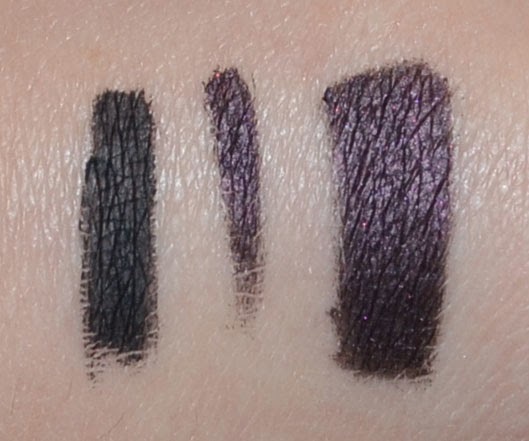 But really, we’re nitpicking, and as you can see from the swatches which were done at point of opening, it didn't produce ultra clean edges to begin with. Conclusion: Will You Reach for It? This is often my gel liner of choice when I’m not reaching for Bobbi Brown Black Ink. 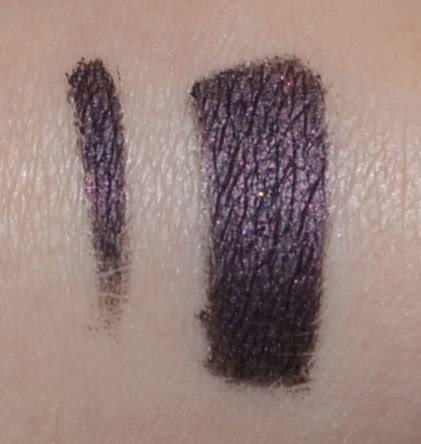 It’s hard to mess up, it remains reliably long-lasting, and the color is how I like it – dark enough to be almost inconspicuous, but still purple enough to bring out brown eyes. 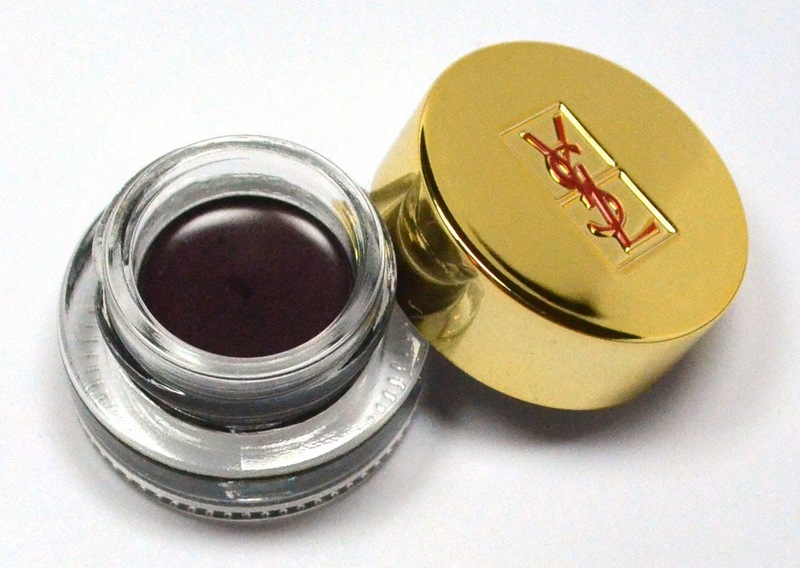 Nordstrom and the YSL website both carry all seven colors, though Nordstrom uses different names, calling this shade Black Burgundy. Sephora only carries four shades: this one, blue, bronze, and black. All of three locations price the liner at $28.